For the ultimate eco-friendly outdoor living area, eKoDeKing offers a range of composite decking materials. Composite Materials look and feel like real timber, however are made from recycled wood and plastic. This option is environmentally friendly, incredibly durable and requires little maintenance. These composite materials are sourced from a number of suppliers, including ModWood, CorrectDeck, Expresswood, Futurewood, Ekodeck and many more. eKoDeKing supports the practice of Sustainable Forest Management. Sustainable Forest Management is an initiative that ensures that Australia’s forests are harvested responsibly, with new trees planted after each harvest. In support of this initiative, eKoDeKing only uses Treated Pine and Australian Hardwoods that are sourced from sustainable forests. Discover the environmental benefits to using responsibly sourced timber. Ekodeck is a new style of decking that looks and feels like wood, with the strength of bamboo and durability of plastic. Its unique design of bamboo and recycled plastic accounts for more than 90% of Ekodeck’s composition. Ekodeck’s unique construction requires no maintenance when it comes to oiling and painting. Those costly and tedious tasks become chores of the past, saving you both time and money. However, like carpet, our lighter colours – Mountain Oak and Silver Ash – require more maintenance to keep clean than our darker colours. 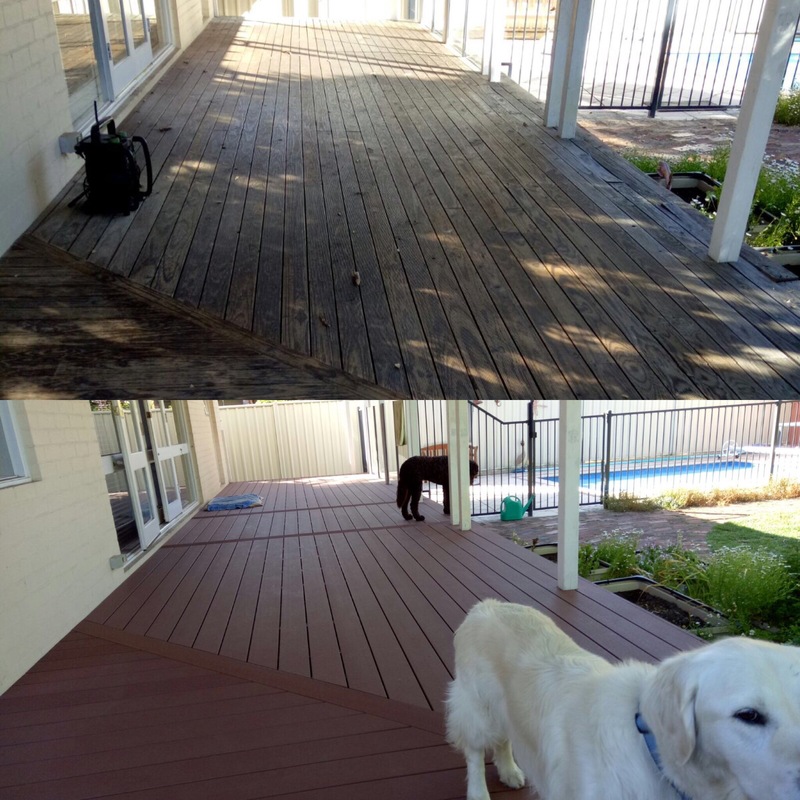 Unlike timber decking, Ekodeck requires no special treatments to combat mould and termite damage. The plastic deters termites, and as Ekodeck absorbs less water than timber, it is less likely to suffer from the effects of mould and mildew. Should any surface mould and mildew appear, it is easily washed away. Splinters, warped boards and popped nails are common problems associated with traditional timber decks. Ekodeck eliminates these safety hazards, welcoming bare feet. Ekodeck is also non-toxic. Many composite decking products still look like plastic. Ekodeck has been carefully engineered, designed and finished to look and feel like natural timber.